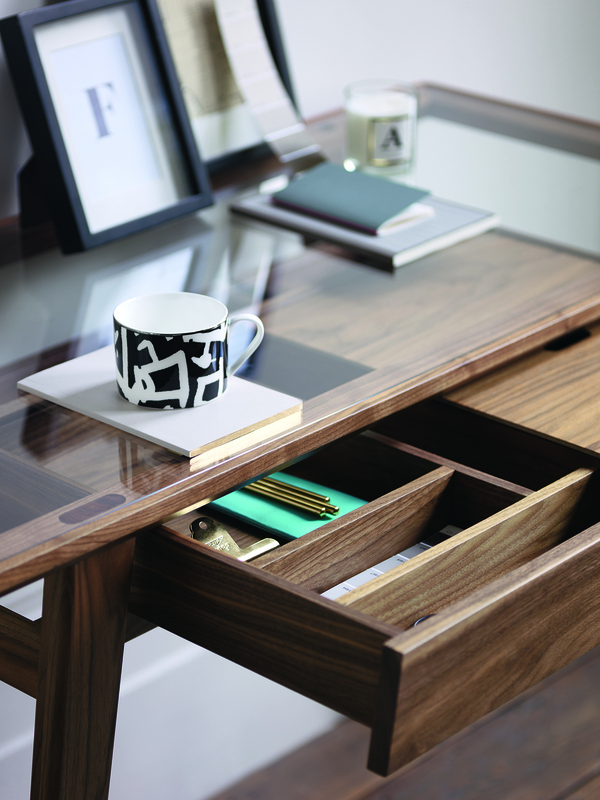 Designed for Conran with Marks & Spencer, the Ashworth range is made of walnut with inset glass tops. 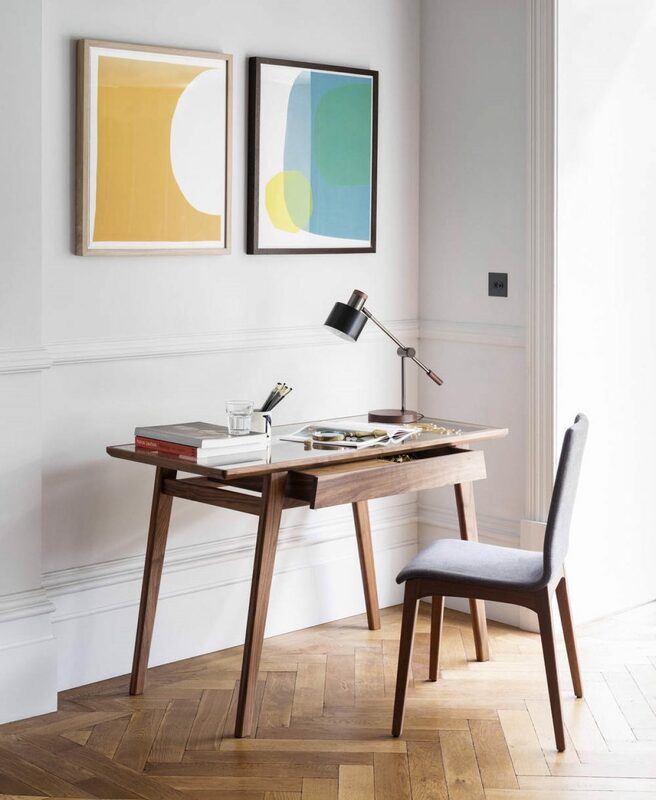 The range uses tapered, angled legs and a top frame section, both made of solid walnut. The work surface has an inset glass top to allow the construction and detail of the design to show through. An innovative cap hides the fixings and makes an attractive detail below the surface of the glass.